In this tutorial, we will learn about what is pipe, how to build a custom pipe, how to make the pipe available application wide. Live example here in plunkr. 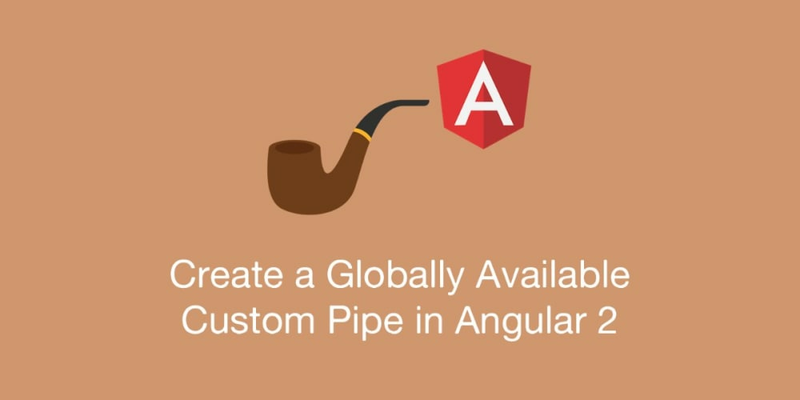 Angular 2 comes with a stock of pipes such as DatePipe, UpperCasePipe, LowerCasePipe, CurrencyPipe, and PercentPipe. They are all immediately available for use in any template. For example, utilize the uppercase pipe to display a person name in capital letter. Now if you would like to capitalize the first letter of each word, you can create a custom pipe to do so. Now imagine that you have a pipe that you will use in almost all of your components (e.g. a translate pipe), how can we make it globally available just like the built-in pipes? There&apos;s a way to do it. We can include the pipe in application module of our application. Angular Module is a great way to organize the application and extend it with capabilities from external libraries. It consolidate components, directives and pipes into cohesive blocks of functionality. Refer to Angular documentation. Now, we can run our application and check the page result. Yay! Live example here in plunkr. Coder. Diver. Board Game Lover. GDE | Angular | Web Technologies.